My Deep Conditioner Mix - Softens New Growth! 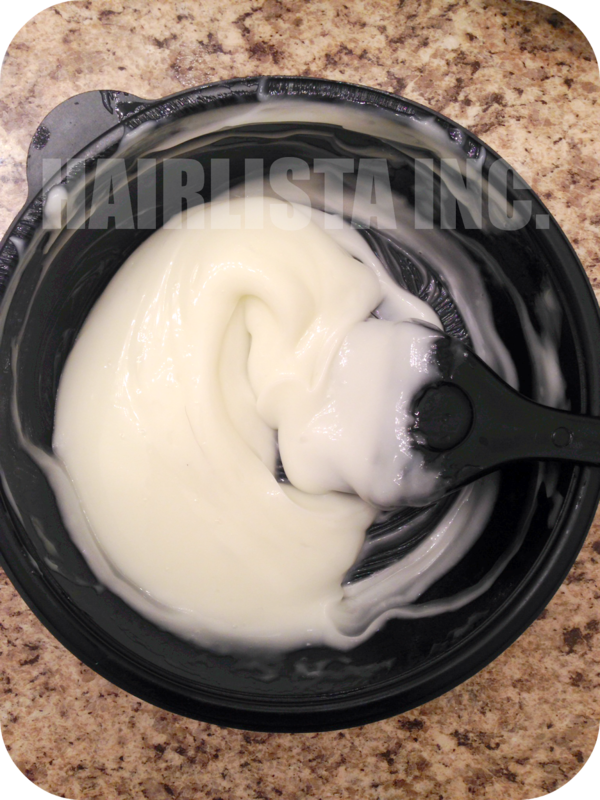 - Hairlicious Inc.
My Deep Conditioner Mix - Softens New Growth! - Shot of Porosity Control Conditioner! I find this mixture great for hydrating my new growth and keeping my line of demarcation (where the new growth and relaxed hair meet) full of elasticity. What moisturizing deep conditioners/mixtures do you use while stretching your relaxer or to seriously hydrate your hair when it's really thirsty? ORS Replenishing conditioner+ any oils i have on hand especially EVOO + coconut oil + sweet almond oil + sunflower oil. Most recently I tried palm kernel oil and I got the softest hair I have ever ever felt! Thanks Hun for sharing. Palm kernel oil, hmm that sounds interesting. May have to look into that. Sunshyne, why do you recommend Keracare Humecto and Creme of Nature Nourishing & Strengthening Conditioner when they both contain mineral oil (paraffinum liquidum)? Also, do you have some tips or a post for preventing breakage/nourishing new growth/protecting the demarcation line while stretching relaxers? Hi Fredrique. I didn't necessarily suggest using Humecto or CON Nourishing and strengthening treatment. Yes they contain mineral oil; however, they work well in my hair. Mineral oil is perfectly fine to use in the 'conditioning phase' when doing your hair. It usually poses a problem when it's applied to the scalp or when it's in a moisturizer that you use daily. Can you use this same mix with the Herbal Essence Hello Hydration? Just did that mixture but i used the oil mixture I made from Naptural85 hair and boy oil and I loved it my hair was easy to detangle and it was mega soft. Awww that's great to hear!! I use creme of nature with argan oil intensive conditioner, ors replenishing conditioner, 1 tbsp of JBCO, 1 tbsp of jojoba oil and 2 tbsp of honey. It makes my hair very soft and easy to manage. Sounds yummy and full of slip! I want to try using olive oil and a conditioner as a deep conditioner mix. Does it matter which conditioner I use? Not at all :) As long as it's a deep conditioner (stating that you need to leave it on for 10-30 mins) then you should be fine. I know this post is quite old but I have been following your journey since 2009 when I found your youtube videos. Since then you have inspired me to care for my own hair and I am a proud member of hairlista inc. I couldn't help but notice you no longer use honey in your dc treatments. Any particular reason why? Aww thanks for your loyalty :) I truly appreciate it. I no longer use honey because it started to change my hair color to a lighter brown. I didn't care for it. I love dark hair so I had to stop using it, unfortunately. Where Are All My Relaxed Ladies?